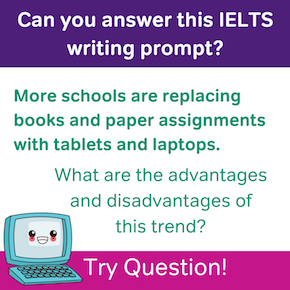 In IELTS Writing Task 2 you will be given 40 minutes to write 250 words or more in response to a given essay prompt. 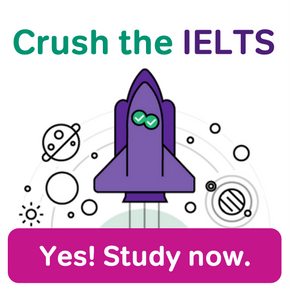 The Task 2 essay is worth two thirds of the points for your writing score the IELTS, so it’s a very important piece of the exam. Here at Magoosh we highly recommend that students take practice tests to prepare for the real thing. But we also understand how tough it can be to score your own essays — after all, there isn’t a straightforward answer key when it comes to writing! With this in mind, we’re offering you the opportunity to submit an Task 2 Essay you have written, and we will give one lucky student a detailed analysis of their essay, and feedback on how specifically they can improve! Watch our Essay Contest Video! 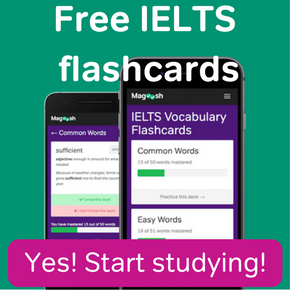 Hi, I’m Elliot, the IELTS expert from Magoosh and I’ve got an exciting opportunity for you with this video because here at Magoosh we are offering you an opportunity to write a sample task two essay or submit one that you’ve already written before and we will offer one lucky winner feedback. So we’ll choose one out of the responses we get and give you a full set of feedback letting you know how well you did, what kind of score you could expect, and what kind of things you could do to improve on your essay, okay? 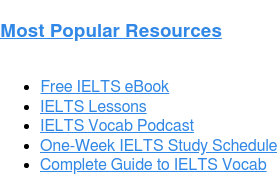 Go ahead and search through if you have been preparing for the IELTS for a while, it’s possible, it’s probable you have some essays written already. Choose your best one or choose one that you would like to possibly get some feedback on, and all you need to do is copy and paste it in the comments below this video and you’re entered. 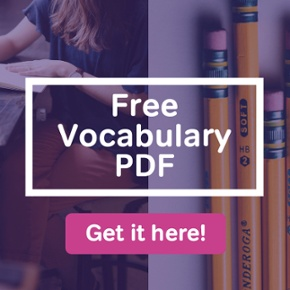 If you don’t have an essay, or if you’d like to write a new one, you can go if you look at the link at the bottom in the text box there, and you can click on that link and go to a sample question that you can write about. You can use that as your question. Write a new essay and take that, copy and paste it into the comments section below this video, and then you are entered if you choose to go that route. So good luck and I can’t wait to read the winning essay. Nowadays, more and more foreign students are going to English-Speaking countries to learn the “international language – English”. It is undoubtedly true that studying English in an English-speaking country is the best way, but it is not the only way to learn it. Do you agree or disagree with the above statement? Overtime, English has almost become the language of the world. For many students learning English is a way to be globally acceptable in the job scenario as well as an important addition for an entrepreneur. Does it mean that going to an english speaking country the only way to learn it? It can very well be done in ones home country. Merely going to another country to learn a language is most certainly not essential. One can certainly find a variety of different language teaching courses in their own country. These courses are many times affiliated with another reputed english speaking course from a very professional Institute, therfore can impart good language skills. Apart from this there are many online courses which one can easily opt for, from the comfort of their home. Going to an English speaking country merely to learn the language is not really economical. One could easily spend about an year to get the required fluency. Unless one takes a specific course to learn the language it can be a daunting task, morever if one had to ultimately take a course it could very well be done back home. People cant learn a perfect language simply by staying in a foriegn country, all that they can get is the working knowledge of the language for their day today use. For example, many immigrants in an english speaking country fail to master the language in the true sense despite their long years of stay. In my opinion its needless to travel to a country where English is a native language purely with an intent of learning it. With an easy availability of professional courses as well as the availability of online courses the learning can well be accomplished in a much more economical way from the comfort of your home country.